BETHESDA, Md., January 10th, 2019– ROSS Companies, a leader in multifamily property management, acquisition and renovation in the Mid-Atlantic region, today announced that it has assumed property management of Creekside at Taskers Chance in Frederick, Md., on behalf of The BurnBrae Companies, a Bethesda based multifamily owner and residential land developer. The 120-unit Creekside at Taskers Chance is an affordable, independent living community for active adults 55 years and better. The management assignment represents ROSS’ re-entry into the DC submarket of Frederick. ROSS will oversee community and amenity improvements and upgrades. 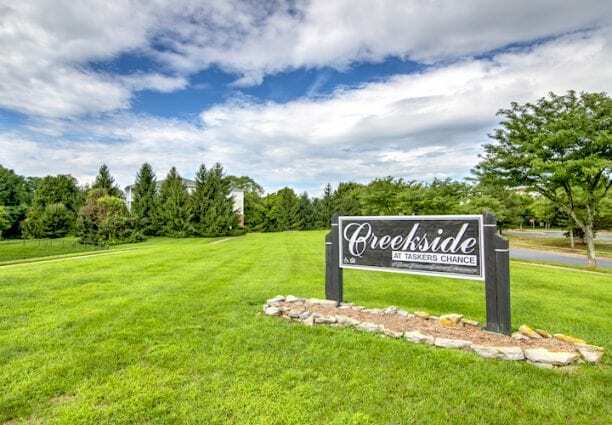 Furthermore, the company will implement a more consumer-friendly operational strategy and revamp the community’s digital marketing efforts to better position Creekside at Taskers Chance to meet the demand for active adult housing in Frederick. Situated at 100 Burgess Hill Way, Creekside at Taskers Chance offers a quiet, wooded setting as well as convenient access to Interstate 70 and 270. The community is just minutes from Frederick Memorial Hospital and Fort Detrick. Creekside at Taskers Chance is also close to numerous shops, restaurants, schools and parks. Creekside at Taskers Chance features one and two bedroom homes, ranging in size from 566 to 809 square feet. Apartment features include elevator access to each floor in the building, fully-equipped kitchens, wheelchair accessibility, and an emergency response system. Select units also include walk-in showers and balconies. Community amenities at Creekside include regularly scheduled social activities, weekly transportation, a hair salon, game room, and fitness center.